A Bay Area family is mourning the loss of a 64-year-old man who was killed by a hit and run driver last Friday on Highway 4 in Discovery Bay. Jodi Hernandez reports. A Bay Area family is mourning the loss of a 64-year-old man who was killed in a hit and run last Friday on Highway 4 in Discovery Bay. "It's just really rough to know someone hit him and didn’t stop to see if they could help him," said Alison Lutz, the victim’s sister. "It’s so heartbreaking it’s breaking my heart." Andrew Bufka, a retired handyman and a longtime Antioch resident, was walking to a friend’s house when he was hit. His body wasn’t discovered until the following morning alongside the road. "It's not a phone call you want to receive," said the victim's brother, John Bufka. 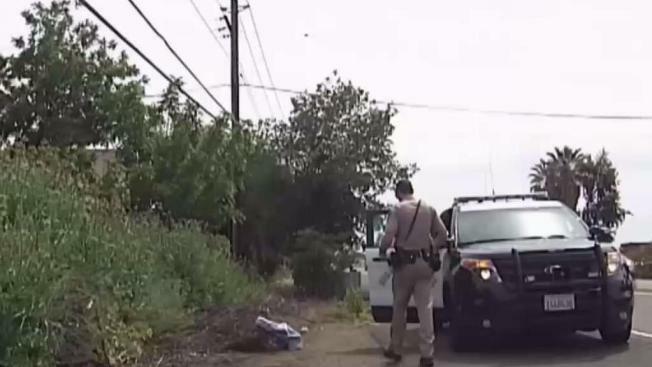 California Highway Patrol says they are looking for a Toyota Sequoia or Tundra with a broken right headlight and front-end damage. The family hopes someone comes forward. "If it was an accident I can understand if you panicked," John said. "I need to know what happened." Bufka was the oldest of nine siblings and they say he was always there for them, and now they are fighting for him. "We need people to have hearts and go out of the way to do something good to give us closure," Lutz said. "I want him to know we love him and miss him terribly."